If you’re in need of new siding, gutters, replacement windows, roofing, or other exterior renovations for your home in or near Minneapolis, Minnesota, the professionals at DuBois ABC Seamless are here to help. Our home improvement company specializes in custom, maintenance-free residential exteriors, manufacturing and installing seamless metal siding (including steel log siding) and seamless gutters, as well as installing metal roofs, asphalt shingles, front entry doors, and a variety of other products. 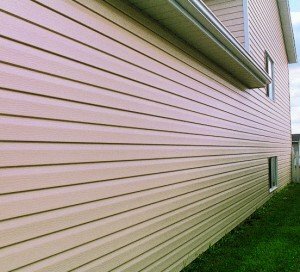 Our siding is manufactured using heavy-gauge, hot-dipped, G-90 galvanized steel, which is thicker and stronger than any other exterior remodeling material on the market today. Our windows come in an amazing array of styles and colors, perform extraordinarily well, and are easy to keep looking great. Your roof will maintain its “like new” appearance for year to come, thanks to our extraordinary coating, which will not fade, even after years of UV exposure. Whether your home décor is traditional, contemporary, or some blend of both, we can install the perfect door to bring your home to life. We make sure that your new gutters are properly formed, cut, and fastened to your home, creating the finished, unified look you desire. Our gutter guards blend into the roof line of your home, and you won’t have to scoop out decaying debris from your gutters ever again. Our siding, gutters, and other products can provide your home with unsurpassed protection against the elements. Because our products are made from heavy-gauge steel, they can easily withstand impacts from hail and wind-blown debris during inclement weather. Our metal roofing can endure winds of up to 160 mph, offering a level of protection for your home that is far superior to standard roofing systems. The durability of our exterior renovation products means your new house windows, siding, and rain gutters will last the life of your home, and with more than 23 years of home improvement experience and a crew of skilled craftsmen, DuBois ABC Seamless is a company you can trust for quality products and proper installation. We also provide added peace of mind by backing our installations with a 10-year workmanship warranty. Contact DuBois ABC Seamless today to learn more about our extraordinary home improvement products and services. Discover for yourself why we’re the preferred exterior remodeling contractor for homeowners in Minneapolis, MN, and throughout the Twin Cities region. You can trust in our extensive industry knowledge and unmatched expertise, which has helped thousands of satisfied customers over the years and earned us numerous awards and accolades. Our highly-trained technicians use superior installation techniques to get the job done right. All of them have undergone our proprietary training and know how to optimize the performance and longevity of our products. When you turn to DuBois ABC Seamless, you’ll be treated like the valued customer you are and will receive the kind of personalized service than only a family-run company can provide.